Wild blueberries grace the banks of many of Alaska’s 600,000 miles of streams and rivers. Those streams and rivers are key to the life of wild salmon. Spawning salmon, with a sense of smell reportedly 30,000 times that of humans, must smell those blueberries lining the bank of their natal stream. 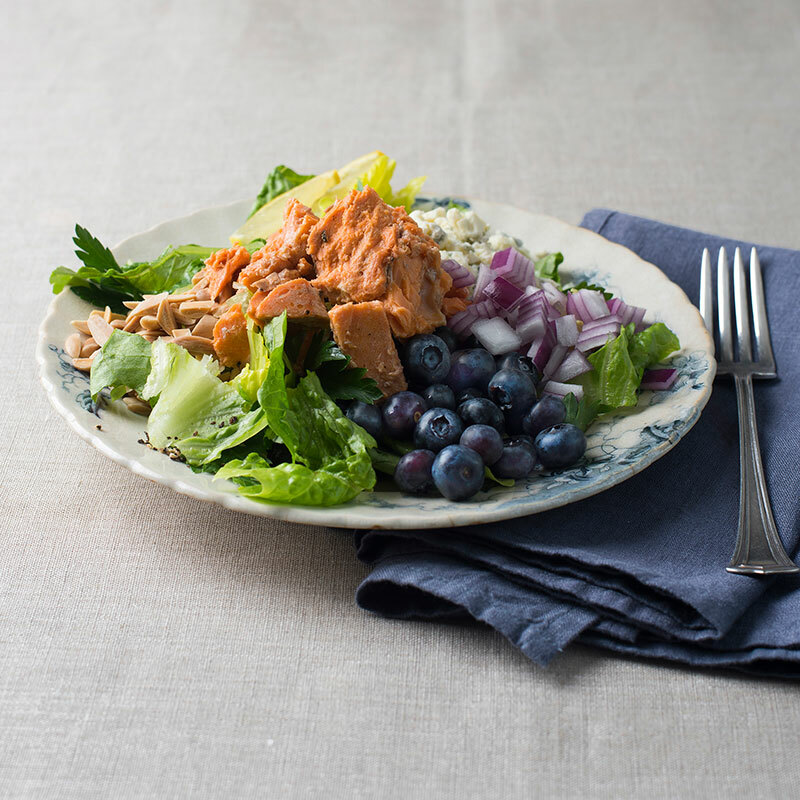 Wild blueberries & wild salmon—it is pure food poetry from the beginning to this delicious end. In separate bowl, whisk together the Lemon Dijon Vinaigrette ingredients. Toss the salad with the Lemon Dijon Vinaigrette.